Published: Oct. 28, 2016 at 01:56 p.m. Updated: Aug. 28, 2017 at 05:00 p.m. They poured out of the packed train at Twickenham nearly four hours before game time, jerseys of every NFL color and stripe, each with a different story to tell about why they worship at the alter of American football. There were jerseys of Jake Locker and Refrigerator Perry, Tony Romo, Rob Gronkowski, Jerome Simpson (from his Cincinnati days) and two Cowboys Roy Williams jerseys. (The safety, not the receiver.) There were confused fans with 49ers jerseys and cheeseheads. There were Peter Boulware and Dan Marino. There were lots of Dolphins, Giants, Bears and basically any prominent team from the 1980s when the NFL started to break through in the United Kingdom. The walk to the stadium would not be out of place in Green Bay or Baton Rouge, aside from the orderly foot traffic and rainbow of jerseys. Merchandise and food stands lined the neighborhood streets on plots outside homes on the way to Twickenham Stadium, the smell of "100% Hog Roast Pork" and every variety of meat filling the air. Betty Nsingo, 34, proudly wore her Ravens jersey, a team that she didn't truly fall for until she moved back to Belgium after attending college in Baltimore. Her old Sunday routine in Brussels -- friends, beer, wings and American football -- sounded familiar except for the locale. Some of those friends traveled all the way from Belgium to watch Giants-Rams in London, where Nsingo now lives. Her story was typical of the fans I met at the game. This was not an audience of expat Americans. This was an international, diverse collection of fans tied together by the love of a game they hardly knew as children. "When I saw the Falcons play (in 2014), there was an old English woman absolutely screaming behind me that knew every box score," Nsingo said. "I thought, 'Whoa people are getting clued up now.' "
The International Series, now in its 10th season, is no longer an experiment. Games in London are now an entrenched NFL tradition, like the NFL Kickoff game on Thursday of Week 1 or the Bengals losing on the first Saturday of the playoffs. 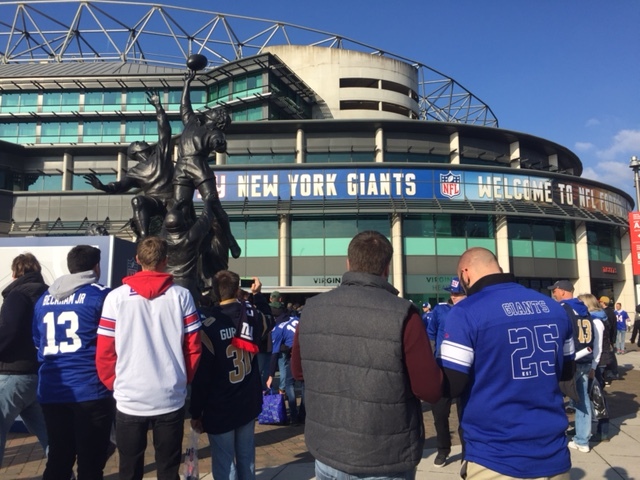 Last Sunday's Giants-Rams matchup, played at the "cathedral of rugby," was another step in the NFL's steady expansion of its footprint in the U.K. It was the first non-rugby game to be played at Twickenham Stadium and the first NFL game to be played in England not at Wembley Stadium. "I expect we'll see more games here (at Twickenham) and, who knows, maybe a franchise someday," NFL Commissioner Roger Goodell told the BBC during the game. The fans I spoke to could hardly imagine having the good fortune of a team moving to London. The overwhelming emotion from the football-starved 74,121 in attendance was gratitude and celebration of sport. They felt lucky to get any games at all, even a game that included punts on 11 straight possessions. "There is a sense of goodwill," BBC host Nat Coombs said of the NFL's investment overseas. "The fact we get three games is brilliant." For longtime NFL fans in London, the recent increase in popularity and knowledge surrounding the sport is a thrill. It's been a long time coming. How much do you love football? Would you stay up until 4:30 a.m. to watch your favorite team or the biggest game of the week? 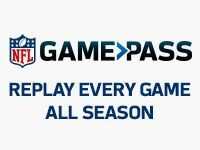 Would you set your alarm before work to watch condensed games on Game Pass? Would you travel long distances to watch a game that didn't include your favorite team? The NFL fan in London is naturally swimming against the stream. In a country dominated by that other football, loving the NFL requires sacrifice. Tommy Parsley, from Norwich, started rooting for the Packers in the late 1990s because his favorite soccer team also wore green and gold. He had stayed up late into the night to watch Aaron Rodgers and Matt Barkley do battle a few nights prior to Giants-Rams and attends an International Series game every season. "I think most people that follow it make it their No. 1 sport," Parsley said. "The way it's run is a big reason why." Told that the NFL takes its share of criticism stateside, Parsley cited the sport's ability to change. "You don't know how lucky you are. Things change so slow in (soccer). The idea of changing rules regularly at owner's meetings or even having owner's meetings is completely foreign." This absolute optimism was striking, especially after a rough week of news for the NFL following the domestic violence revelations about then-Giants kicker Josh Brown, who was left behind in New York when the team traveled to London. When Giants coach Ben McAdoo was peppered by the New York media last Friday in London with pointed questions about the team's handling of Brown, it stood in stark contrast to the sightseeing and jet-lag questions that marked the rest of my week abroad. I love football an unhealthy amount. I've spent the better part of 14 seasons spending each day wanting to know more, never getting close to knowing enough. Yet loving football in the U.S. comes with conditions. As fans, we each chose how to synthesize the concussion or domestic-violence stories with our overall appreciation of the sport. From my conversations in London, the fans' love for the game was less complicated. It was like a new relationship where you only see the good. Any time the darker sides of the sport came up, the conversation came back to the game. "I love that it's like a big game of human war chess," 31-year-old lawyer Matthew Richardson said. "I like that you can watch the same game three times over and focus on different parts of the game each time, be it the QB's throws, the linemen and their blocking, or the play of the secondary, or whatever else you might find interesting." Richardson is self-employed so he takes the occasional Monday off work, staying up until 4:30 a.m. to watch the full slate of games. Sky Sports, the equivalent to ESPN in the U.K., televises a tripleheader every Sunday. Fans who want to be among likeminded souls in London congregate at the Hippodrome Casino to watch en masse. Nat Coombs, who has hosted NFL coverage since 2007 in one form or another, currently anchors the BBC's airing of the International Series. With no commercials on the public station, Coombs fills television timeouts talking with former Giants defensive end Osi Umenyiora and a rotating cast of guests, including a stop-by last week from Goodell. 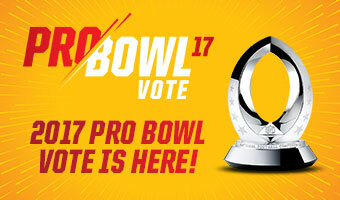 "I think that, having covered different sports, the loyalty you get from the NFL fans is completely different," Coombs said. In a country where the sports landscape includes soccer and then everything else, American football has found an audience. It even has spawned a small media industry around it, including Coombs' radio program. "Ten years ago, there was no way a station like TalkSport would have committed to a weekly NFL show," Coombs said. "It would have been laughed at in the room. ... Now it's there and it does well." Ben Kilpatrick, 33, returned to London after five years in Los Angeles, leaving just as the Rams arrived in Southern California again. He's decided to adopt the team anyhow, wearing an Aaron Donald jersey to the game, with his father along for the ride. This type of random attachment to a team may be a counterintuitive asset for the NFL growing overseas. So many of the fans I met had loose allegiances. Richardson chose the Giants as his team just because he likes New York. One Saints fan, Ben Eldridge, picked them because Super Bowl XLIV was such a good game. The true loyalty for most of the fans at the Giants-Rams game was to the sport, not the jersey. A West Ham (Premier League) season-ticket holder for 14 years in the U.K., Kilpatrick fell in love with American football because it felt like an event back when he lived in the U.S.
"It almost feels as when Sunday arrives, the whole country stops to watch the games -- you can't not get caught up in it," Kilpatrick said. That type of saturation is far from the norm in England. Plenty of the cab drivers, waiters and other Londoners I ran into during the week had only a vague awareness of the NFL. Writers for the big newspapers in town have to fight for space in the paper. NFL fans overseas almost revel in the effort of it all. They like being different. "I think the fanbase tends to be a bit more alternative when compared to more stereotypical sports fans," Richardson said. "Relatively few U.K. fans have really played the game as kids, so I think it draws people in for reasons like mine -- the tactics." That helps to explain the atmosphere during the Giants-Rams game. The crowd was electric, not terribly different than a Super Bowl. Fans wanted desperately to cheer big hits and the noise after Landon Collins' pick-six was intense. It was quiet for other parts of a mostly drowsy game, yet the crowd noise became such a factor late in the fourth quarter that Rams quarterback Case Keenum had to waste a timeout to get his team on the same page. On the way out of an empty stadium, I thought back to the morning, racing for the last car on the London platform, searching for a strap to hang on to while avoiding eye contact in an uncomfortably packed train. It reminded me of taking the 4 train up to the Bronx to see the Yankees, except no one here was rooting for the same team. "Some of these fans in Europe may never attend an NFL game in the U.S., and this is their only opportunity they will have to show their spirit and love of their teams," Nsingo said. "So let them fly their flags! Or jerseys!" I am corny enough to be inspired by this sort of devotion. I wonder if being an NFL fan in London in 2016 is like being an NFL fan in the U.S. in the 1950s and '60s, back when it was an underdog sport, back before it overtook college football and baseball, back before there was panic because this season's dominant television ratings are slightly less dominant than last year's. 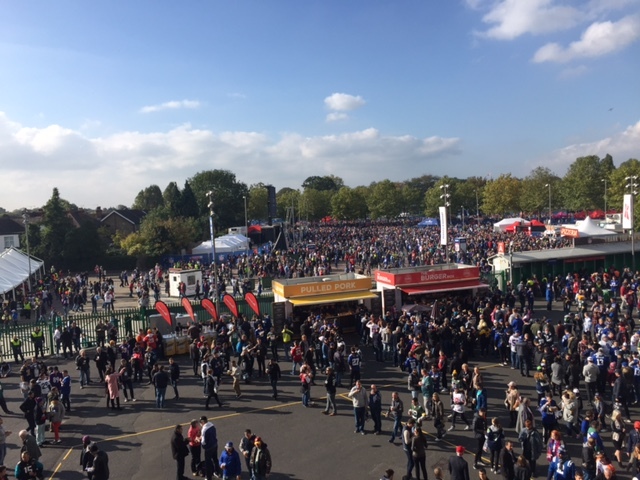 The 74,121 at Twickenham Stadium last Sunday didn't care about any of that. They didn't even seem to mind all the punts or Keenum interceptions. They were true believers, happy to share their devotion together for one glorious Sunday in London.